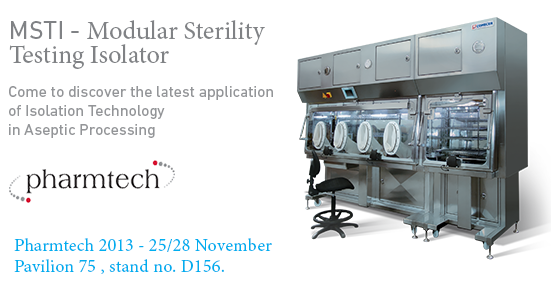 Come discover the latest application of isolation technology in aseptic processing. Comecer will be present at the Pharmtech 2013 – Pavilion 75 , stand no. D156. Be part of the Pharmtech – 15th Anniversary International Exhibition of Technologies for the Pharmaceutical Industry!